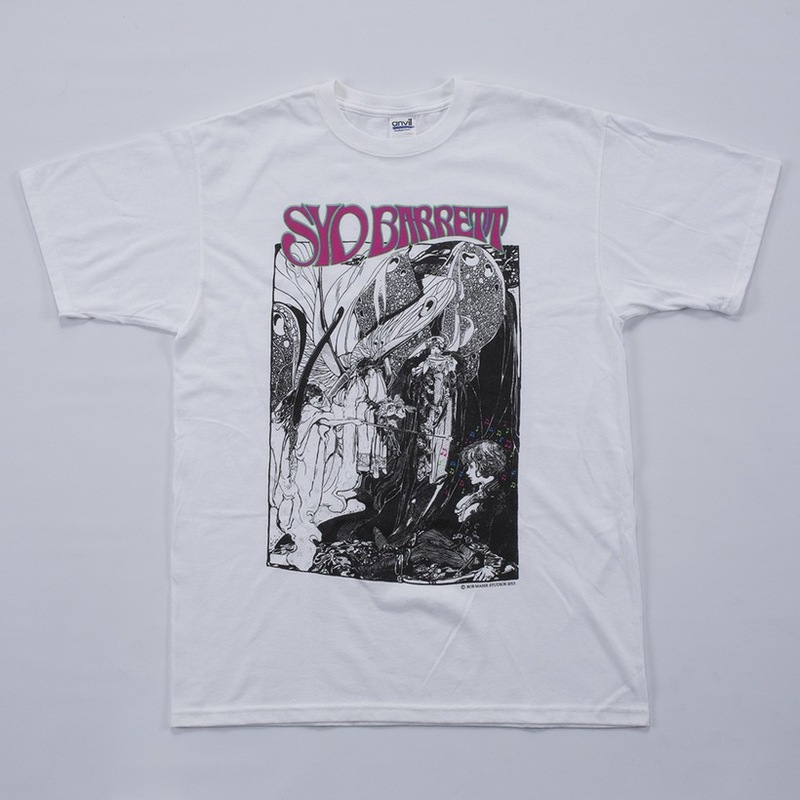 White short sleeve t-shirt with pink "Syd Barrett" writing and Bob Masse Fairie logo. its great. nice good quality shirt. even safe to wear when its sprinkling outside. I ordered a shirt, it came quickly, and was just as I had expected. Good quality and spacey artwork. Good job ol' chap.